Pat Garofalo: Bernie Sanders was right, and Democrats are running on his message. But will the party listen? Pat Garofalo Bernie Sanders was right, and Democrats are running on his message. But will the party listen? The junior Senator didn't win in 2016, but his ideas are on the ballot for the 2018 and 2020 elections. 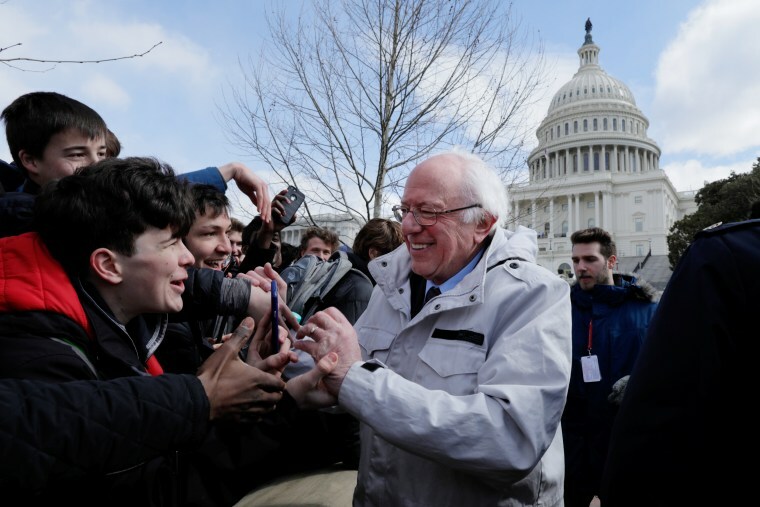 Though Sen. Bernie Sanders, I-Vt., lost the Democratic presidential nomination in 2016 (and he might not win the nod in 2020, should he decide to run) he’s going to emerge triumphant from this moment in Democratic politics anyway. Just look at the other candidates expected to run for the Democratic nomination in 2020, all of whom are in some way seeking to curry favor with Sanders’ supporters and coalescing around the policies he backed — even though, in 2016, those ideas were derided as a pipe dream promulgated by an old man from Vermont who didn’t understand the real world. The most obvious example of this shift has occurred is in health care policy: Sanders’ single-payer style “Medicare for All” plan was widely panned by Beltway pundits and prognosticators in 2016 as hopelessly idealistic and a political non-starter. Now, though, Sanders has 16 co-sponsors on a single-payer bill, including potential 2020 contenders Sens. Cory Booker, D-N.J., Kamala Harris, D-Calif., and Kirsten Gillibrand, D-N.Y. The Democratic establishment, too, has come around to the idea that pushing for a single-payer style system is the correct thing to do. Plenty of skeptics — particularly conservative ones — welcome a race amongst the 2020 hopefuls to out-Bernie each other. Beyond health care, Booker has rolled out a plan to implement a jobs guarantee, Gillibrand and Booker want to legalize marijuana and they, along with Harris, have sworn off corporate PAC money. That first one is more than even Sanders dared to call for back in 2016; the latter two are straight out of his playbook. Even Sanders’ push for labor law reform, a dream of activists that didn’t happen under the Obama administration (despite Democrats having 60 votes in the Senate), has garnered its fair share of backers. Plenty of skeptics — particularly conservative ones — welcome a race amongst the 2020 hopefuls to out-Bernie each other as a signal that Democrats are intent on driving themselves into inevitable electoral doom. But, though it’s hard to square with a country that sent Donald Trump to the White House and a big Republican majority to Congress, these policy moves make good political sense. Majorities are now in favor of pot legalization, for instance, while a plurality favors a nationalized health care system. On many economic matters, there is hard evidence that the conservative governance America is getting is not what most voters actually want. And, perhaps more to the point, the Obama years proved that Republicans are going to portray Democrats as wild-eyed socialists no matter how incremental and market-friendly the reforms they propose are. So they might as well go big; the response from the opposition will be the same either way. Sanders himself isn’t solely responsible for this shift in Democratic thinking: Though his 2016 run showed that progressive ideas are more viable than the conventional wisdom previously allowed, his success is also a product of the times. Millennials are the most progressive generation America has seen in a long while, and they now constitute a voting bloc that outnumbers any other. That liberalness was bound to trickle down to election results, and Sanders benefitted from it. But though Sanders proved that an unabashedly liberal platform is not necessarily the liability it was previously believed to be, it remains an outstanding question whether Democrats be successful running for office on a Sanders-style platform and whether the Democratic establishment will really let candidates try. More Democrats will be running Sanders-style campaigns over the next few cycles regardless of what the party does. On the latter question, it’s clear that the usual Democratic players don’t have a ton of interest in having anyone in the Sanders mold becoming the Democratic standard-bearer. For instance, in Texas, the Democratic Congressional Campaign Committee attempted to knock the progressive Laura Moser out of the race (which backfired, ultimately helping her get into a primary run-off); the same thing occurred in Colorado, and other races around the country. The Democrat establishment’s allergy to progressives is no accident or strategic electability play: As David Dayen reported in The Intercept, a new study suggests that party leaders back moderate candidates even when there’s no reason to think that a particular district would be turned off by someone more liberal. In places with safe seats that could absolutely be represented by someone further to the left, the Democratic establishment not only sticks with the more centrist candidate, it’s more likely to push for a centrist than in a competitive district. Even if you assume that establishment-types really do believe that moderation is the path toward big majorities, there’s little reason to think their case is a good one. Democrats have been decimated in the last few election cycles, up and down the ballot. But in 2016, Sanders won in places — like West Virginia, Montana and Idaho — in which Democrats are not typically successful. So it’s probably worth seeing if a different kind of Democrat taking a more progressive stance could break the GOP’s stranglehold in similar places. Nothing else Democrats have done has worked so, if the party had any sense, it’d get out of the way and let some candidates give it a whirl. More Democrats will be running Sanders-style campaigns over the next few cycles regardless of what the party does, thanks to simple political reality and voters’ distaste for dictates from on high. The party’s power to decide for its voters is ebbing. And, for that, progressives — even ones that voted for Hillary Clinton — have Bernie to thank. 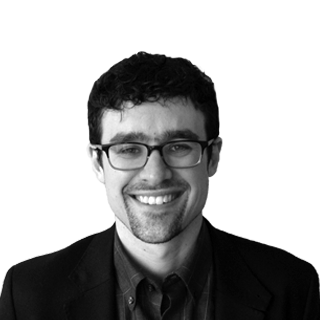 Pat Garofalo is a writer and editor based in Washington, D.C. He was formerly an editor at U.S. News & World Report and ThinkProgress.